Similar to old whiskey barrel construction, this round mirror uses natural fir wood blocks finished in an aged dark oak stain, held together with a thick iron strap around the outer side. A definite statement piece, this mirror is at home in modern, modern country and rustic style spaces. The mirror is surrounded by a generous 1 1/4″ bevel. 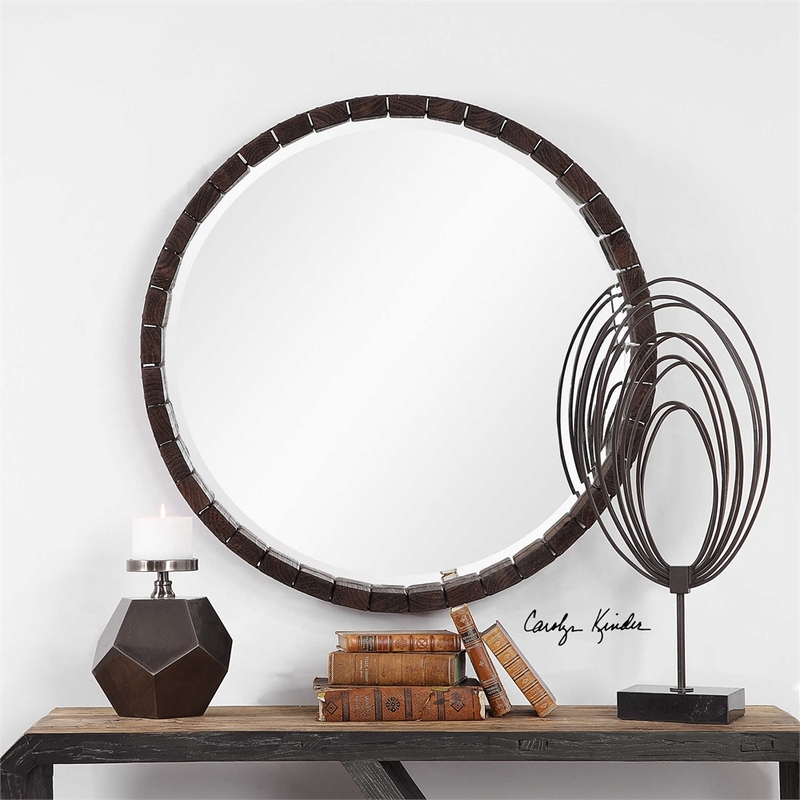 The Islay Round Whiskey Barrel Mirror was designed by Carolyn Kinder International for Uttermost Company. Available to trade professionals at Uttermost.com. For retail purchase Google keywords “Carolyn Kinder Islay Round Mirror”.